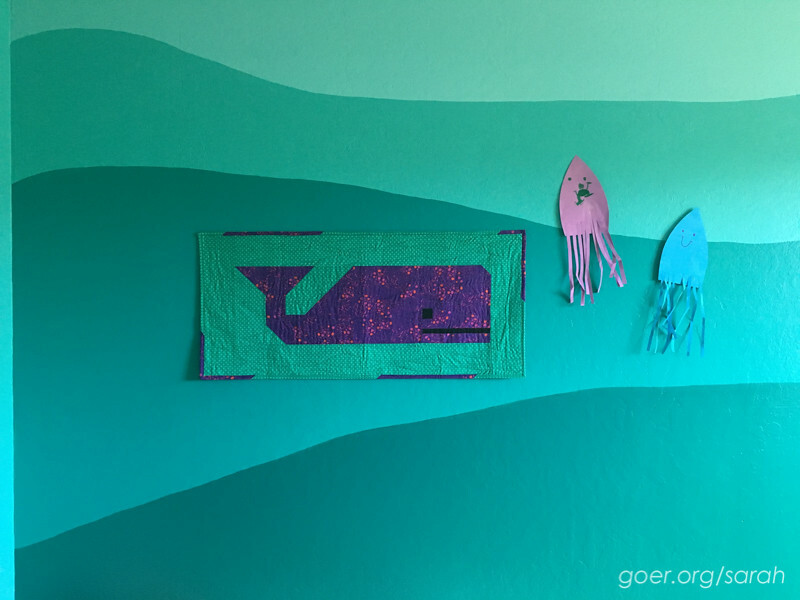 Somehow I decided that my daughter's ocean bedroom needed a Preppy the Whale mini for her wall. She chose purple and I went with a green ocean background to match her wall. The two-color binding was born out of not having enough of the green for the entire binding. Inspired by Angela Walters and Christa Watson's book The Ultimate Guide to Machine Quilting, I quilted the mini with some free motion overlapping wavy lines, using Aurifil #4093 to match the background fabric. The finished quilt measures 15" x 33 1/2". Thanks for visiting! I'm linking up to the Q2 FAL Finishes Linkup. See all my Q2 goals here. Improv Tumbler Mini Quilt Sunday Stash #14: No New Fabric Christmas Tree Table Topper Purple Ninja Quilt, Finished at Last! Posted in Quilting. 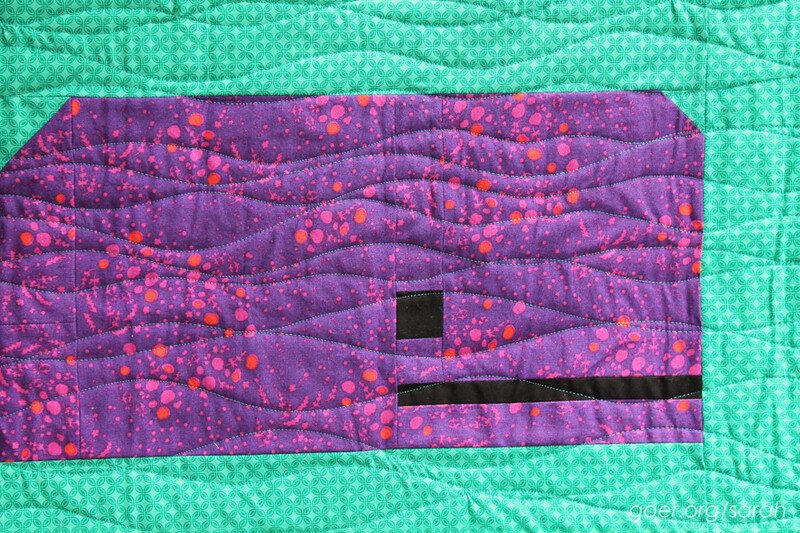 Tags: finished quilt, mini quilt, Preppy the Whale on July 2, 2016 by sarah. 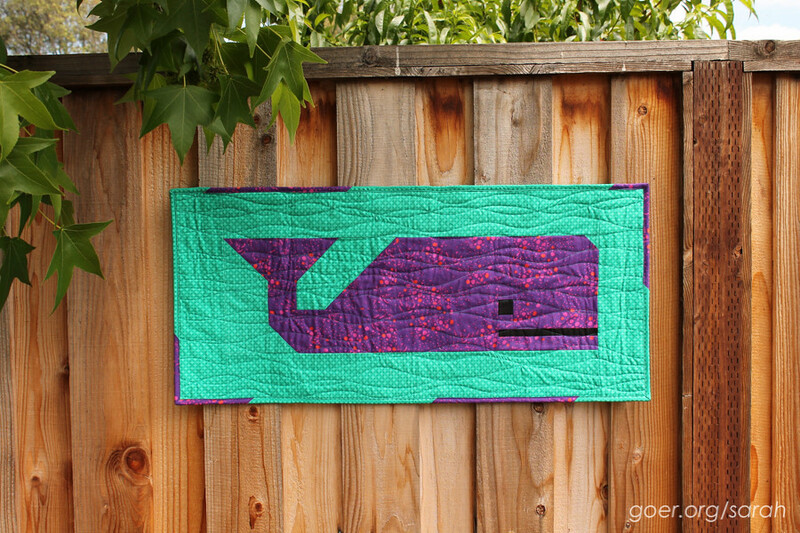 The whale turned out so cute and the quilting too. I really enjoyed seeing it on the wall. Very cute! It looks perfect on her wall! I love this! And the two-toned binding looks terrific. I will have to remember this technique! I like a scrappy binding. And I always save my leftover bits of binding to use on small projects or to piece together. The one I finished last night used up a bunch of those scraps. I'll have it on the blog next week. Thanks for visiting! I love her walls! And that mini is so cute. Great job as ususal! Thank you, Mel! I had a great time painting it the wall. Ahh, I think this is my favorite Preppy the Whale ever! And NOT because it's purple. ;) I love that you just made one block, and it's SO perfect in her room. I love seeing quilts in their forever homes. Plus, awesome scrappy binding. Home run on this one, Sarah! I really like the two tone binding and my goodness, what a beautiful paint job for her room! I did lines once when I painted a bedroom and I have crazy appreciation for how difficult it is. It's a great little quilt Sarah. Nice job with the quilting. 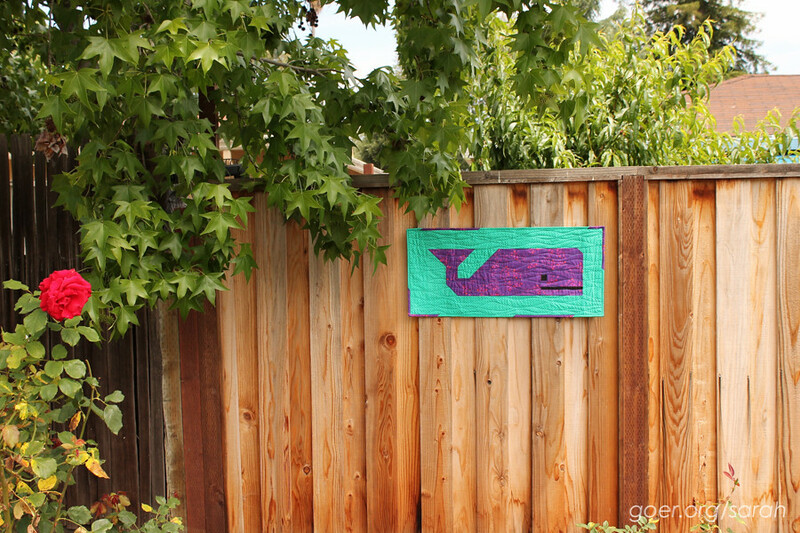 I loved seeing your Purple Preppy the Whale quilt last week! It looks even more spectacular on that fabulous teal wall with the giant squids!!!! It turned out great! And the little splash of purple in the binding is just perfect!! This is adorable! And even if the binding was a happy accident, it's perfect. I love the purple and green together. Thanks, Tish. I love green and purple together. Yay happy accidents! So super cute!! This pattern is so fun, and I love the fabrics you've chosen. Thanks so much for participating in the Finish-A-Long, on behalf of all of the hosts! 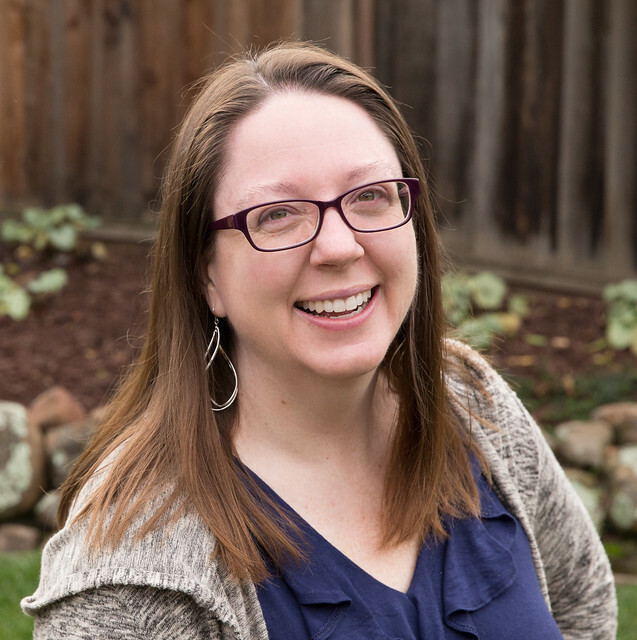 Thank you, Stacey! Thanks for being part of the FAL team!